The best in salon hair care or relaxing natural spa services, we are ready to nurture and renew you from head to toe. Locally owned Aveda salon catering to Southern Oregon and Northern California. Erase all your notions of a manicure and pedicure because ours are like nothing you have ever experienced! Our stylists enjoy spending quality time with each client assessing their desires and needs. Careful consideration of a clients face shape, features, and skin tone are taken into consideration. Welcome to Gervais Day Spa and Salon, a locally owned Aveda salon catering to Southern Oregon and Northern California. Whether you are looking for the best in salon hair care or relaxing natural spa services, we are ready to nurture and renew you from head to toe. Our staff of dedicated and expert professionals include Master Hair Stylists, Estheticians, Licensed Massage Therapists, Nail Technicians, Cosmetologists, Body Artists and Receptionists. Whether you are a return customer or someone thinking about choosing Gervais, we hope you find valuable information on our website. 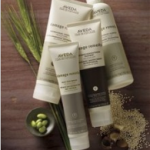 You can find out about our philosophy, services, pricing, staff, hours, contact information, and purchase Aveda products. If at anytime you would like further information about us or need to speak to someone, please call us and we would be pleased to help you. We believe ecological and profitable goals are mutually achievable. We believe authenticity and experience are our points of difference. We believe in inspiring and educating people to integrate wellness and beauty into their lives. Gervais Day Spa and Salon experience includes complimentary, value added services. We guarantee that you will receive two with your visit – excluding waxing services. We are a full service day spa and salon. Our talented team of daymakers ensure a wonderful experience.